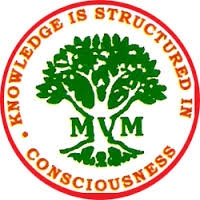 Along with the blessings of His Holiness Maharishi Mahesh Yogiji, the school came into existence during the year 1983 with the motto “Knowledge is structured in Consciousness”. It is a co-ed school following the re-organised pattern of education of 10 + 2 years of the Central Board of Secondary Education, New Delhi for the classes from Primary schoolto Std. XII. A full fledged Work Experience department came into force in the year 1986-87. Music and Dance Departments also came into existence. The student strength during the academic year 2017-2018 for the CBSE is 5532. The class rooms are spacious and enjoys enormous infrastructural facilities. A new PhotocopyMachine, 50 new computer systems with latest configuration was purchased. Internet connections were given for Computer Science Lab and Office from Tikona & Ficus broadband and Wireless. UPS (15 KVA) remained a new addition in the Senior Lab. Procedure: Admissions will be open online for PreKg from Feb 8, 2019 for the academic year 2019-20. KINDLY NOTE THE FOLLOWING FOR RTE ADMISSION FOR 2019-2020 Specify clearly whether your online application is for RTE or General Category. You cannot apply for both. 1. The RTE Admissions to be done through Tamilnadu State Education Department Portal only. (Date schedule to be released by the Department). 2. The respective Educational district CEO’s are likely to forward the selected list of students for RTE Admission to the school / Please apply to the School also. 3. RTE application received by the school will be uploaded in Education Department RTE Admission Portal for Scrutiny and finalisation by the Education Department officials. 1. Only children born between 1st of October 2015 and 30th of September 2016 are eligible to apply for registration. 2. Seeking registration in wrong category or, multiple applications shall entail disqualification. 3. It is online application. Please do not print the registration form, which appears on clicking the link. 4. Please fill in the details and click on submit. You may print the confirmation mail sent on successful submission of form for your reference. It is only online application for registration and does not confer any right for admission. 5. Please read the form carefully before filling in and verify all the details before clicking the submit link. Details once submitted cannot be altered. Details once submitted cannot be altered. 6. Furnishing of incorrect information will result in cancellation of registration. 7. Only those who receive official communication need to appear for certificates verification with duly filled in forms and photographs. 8. No enquiry regarding admission either in person or through phone shall be entertained. 9. Birth Certificate shall be verified with the respective local bodies and if any discrepancy is found no admission will be given. 10. Admission is always subjects to availability of seats in the respective category. 11. If the number of applications received are more than the number of seats, the admission will be based on drawal of lots. 12. For General Category Applicants: Residence proof within 3 Km radius. 13. For RTE category Applicants: Residence proof within 1 km radius. 14. The distance between residence and school will be calculated by the school and it is final. Admissions are not available for any classes for the Academic Year, 2019-20. Documents: If selected, you need to furnish the following Certificates in Original and Xerox copy admissions 2019 -20 I. Birth Certificate. II. Community Certificate. III. Income Certificate. IV. Address Proof (Produce any one of the following only). Family Card (Ration Card). Aadhaar Card. Passport. Driving License. Certificate of Residence issued by VAO. School will start issuing the application forms from the month of Feb, 2018 onward for the academic year 2018-19. Parents received Interaction Notification. Those who have applied kindly check in your Mail. All the Best. Admissions are not available for any classes for the academic year,Â Â 2019-20. Check the school website in the month of Feb, 2017 for admissions to the next academic year 2017-18. School has set notice for interactions beginning Feb 15th.